We select the best from the world & bring it to you! Why not visit our brand new website? 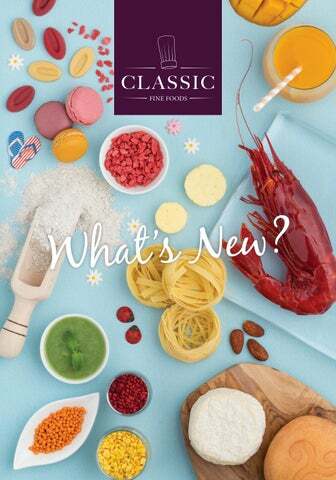 Discover a selection of the best ingredients and products from our Cuisine ingredients, Pastry ingredients and Retail categories. Stay connected to discover our latest news, our seasonal offers, our new brands as well as the pictures of our past events! Fish & Shellfish SOURCING THE BEST PRODUCTS For 8 years, Qwehli have been avidly scouring the world and the oceans, as well as the coasts of France, in search of mythical depths and convincing the best producers to entrust them with their catch. Qwehli offer a range of exclusive products based on two high standards: taste and proper fishing methods. Sustainable fishing methods, seasonal needs of the fish and extreme freshness – everything is selected with the greatest care. preserved as if fresh out of the water. They use cryogenics for their awabis and quick on-board freezing for their toothfish. The products from the French coasts benefit from Qwehli’s home-grown technology: CAS Fresh®, a global breakthrough that combines effects of extreme cold and a magnetic field comparable to that of the North Pole so the flavours, smells and textures of the fish are kept intact. Qwehli’s turbot comes from the only aquaculture farm with “Red Label” certification and is portioned on site by hand. It is “bled” to obtain a firm, delicate texture and perfect white flesh. Qwehli’s awabis comes from a unique farm, situated in Bream Bay, the only one in the world producing this legendary shellfish, which is indigenous to New Zealand. It is put to sleep by hypothermia then using cryogenics, which means that its flesh does not contract. Qwehli’s gambero comes from the South-West coast of Sicily and is fished in the deep sea between 500 and 1000 feet. This is the only red prawn in the world with “Friend of the sea” certification, guaranteeing the respect of the sea environment and the marine species. You already know the Cinq Degrés Ouest Canadian Lobster, why not try their new Blue European Lobster, coming from the UK, Ireland and France? Using the same breakthrough technology, the lobster meat is removed from the shell through an innovative high pressure process. It is then cryogenically frozen so the flavour and texture are both kept intact. Oscietra Prestige Special selection of Sturia Osciètre range of caviar. Grains of an amazing size (exceeding 3mm). Iodine flavours and notes of dried fruits. Sustainable Choice Loch Fyne are responding to growing public concern on plastic waste, particularly unnecessary plastic packaging and its effect on the environment and especially the oceans. As an ethical producer with strong quality, environmental and sustainability values, Loch Fyne have decided to cease interleaving their smoked salmon. Coastal Lamb has received the title of Supreme Winner 2016 by the NZ Food Awards. Their farms are located on the East and West Coasts of New Zealand, where the salt-laden winds continually dust the herb filled pastures. intergenerational family farms on the North Island’s west and east coasts produce Coastal Spring Lamb and Coastal Lamb using skills and knowledge passed down through many generations. Coastal Spring Lamb (available from October to January) is tender, succulent and full of flavour. The secret is the spring pastures, which is lush ryegrass mixed with clovers and herbs. Discover a wonderful product, naturally seasoned by the sea. French Cheese Platters Son of a cheese maturer, Jean-Yves Bordier defines himself as a cheese chooser and refiner. He selects his cheeses for the quality of the artisans who made them. Bordier brings those cheeses to an optimum stage of savouring in their own maturing cellars. Free from any artificial colours or flavours, preservatives and caffeine. colour, taste or smell), the water from the Verde river is the perfect ingredient to preserve the quality and unique taste profile of the wheat. A TRADITIONAL PROCESS Delverde makes pasta like in the old days: selecting the best durum wheat for a perfect “al dente” bite, extruding it through bronze die for a surface that holds sauce better and letting it dry to preserve the properties of the wheat. Sweet-and-sour condiment, aged exclusively in cherry wood barrels. Made with typical grapes from Modena. A fruity taste. Condiment based on extra virgin olive oil smoked with organic wood (oak, holm and olive natural wood). Perfect with scallops, fish, soups and sauces. Kalios comes from the heights of Neochori-Ithomi (Southern Peloponnese). Nestled in the mountains for seven generations, the family olive trees used to produce the Kalios products, some over 300 years old, were planted on a limestone land where water does not stagnate, which has a great importance for the quality of olives. The olives are picked and sorted by hand. They come from two different varieties: Koroneiki destined for the production of olive oil and Kalamata for the production of table olives. The family oil is the result of a healthy and handmade farming. It is not an assembly/melting pot result. The olive oil single variety Kalios exclusively comes from the Koroneiki olive. The olives are hand-picked and immediately brought to the mill to extract the oil by cold centrifugation. Its strength lies in its low acidity and its perfectly balanced fruity flavour. Kalamata olives in water, vinegar and sea salt. Kalamata olives are marinated for a minimum of 5 to 6 weeks in extra virgin olive oil to create almost a preserved consistency. Made with Koroneïki olives harvested in November. Intense unripe fruitiness, green hazelnut aromas. Made from the highest quality kalamata olives, the skin and pit are removed from the olive, and the pure olive flesh is crushed and conserved in a small amount of Kalios olive oil. Made with Koroneïki olives harvested in December. Balanced between unripe and ripe fruitiness, artichoke aromas. Fruit Couvertures You have mastered the art of working with chocolate, now apply it to fruit and nuts! Discover Inspiration, Valrhona’s first range of fruit couvertures. Valrhona has drawn on all its chocolate-making expertise to develop this technical feat combining the unique texture of chocolate with the intense flavour and colour of fruit. 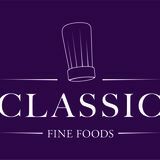 As a company with strong sustainable values, Classic Fine Foods has decided to replace its current pasteurised eggs by a brand new free range offering. Indulgent, practical and on-trend rolls for every moment of consumption: breakfast, lunch, afternoon snack and pre-dinner! Made from a delicious croissant dough, this flaky, spiral-shaped bun is the ideal base for stunning topquality burgers, breakfast or deserts. Extra generous, extra surprising, extra indulgent! Made with pure butter, the Extravagant range offers colourful and tempting toppings for a very indulgent appearance. Its centres reveal intense flavours and its texture is crunchy, soft and tender. In keeping with the times, Bridor has developed whipped ganache macaroon recipes for a modern macaroon. The whipped ganache is made with white chocolate, cream (35% fat) and flavouring (such as fruit puree). Whipped ganache gives a refined and well-rounded flavour. Bridor macaroons are lighter, smoother, rounder, and lower in fat! Premium Technical Ingredients SUGARS A range of coloured and flavoured sugars suitable for decoration on desserts, chocolates and bakery products. PETA CRISPIES A range of popping candy coated with chocolate, ideal for decorating cakes, confectionery and ice creams. FREEZE DRIED & CRISPIES A range of freeze dried fruits to give exceptional flavour to confectionery, bread products, desserts, ice creams and fillings. EXTRACT POWDERS A range of powders extracted from fruits to give your finished product an intense taste. Ingredients for Ice Cream THE GELATO EXPERT Montebianco stemmed from the historical company Mark, which specialised in the production of ice cream machinery. They have been an established manufacturer of semi-finished ingredients for gelato since 1966. From the very beginning of the new company they target the centrality of R&D, which is a key point in the creation of its wide range of products. Montebianco has always invested and will continue to invest in products, which are the real company’s lifeblood. protected from the consumption chain. Gelato artisans have a duty to provide such protection, and companies have to ensure high safety standards. LIFE TRAIL is a path that Montebianco undertakes to guarantee its customers and consumers a clear Food Policy based on mutual trust. It is devoted to the continued research of pure ingredients in line with proper nutrition. LIFE TRAIL is an ambitious project, which presents Montebianco with some choices that sometimes contrast with industrial logic, but allow it in the future to constantly ensure the best possible ingredient solutions according to historical need. Montebianco has been eliminating artificial flavours from its products, replacing hydrogenated fats with refined fats and insisting on full traceability of some noble raw materials, to ensure the highest chain quality standards. VARIEGATI GOURMET RANGE Variegati Gourmet range uses only noble raw materials for high quality products. Montebianco presents a new “gourmet” range with variegates to meet high confectionery standards. The use of high-grade raw materials and a skilful mix made by their White Room Gurus (www.whiteroom.guru) allowed them to develop products of absolute quality in line with the Life Trail standards. 392 Petals White Choc “Pink” Signets are ultra-thin discs to add to your bakery creations that blend harmoniously with your products. They are made from carefully selected ingredients: starch, sugar, fibres, grape seed oil, cocoa butter. The recipe has been specially designed to be totally natural and pair with your product perfectly. Customisation options are available.